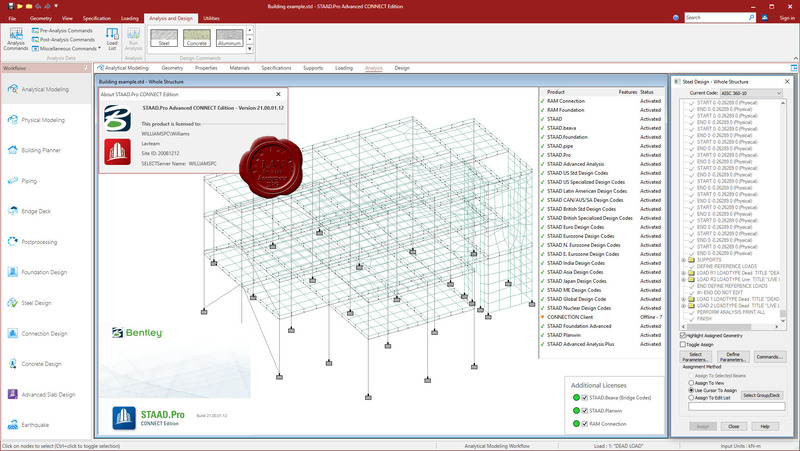 Confidently design any type of structure and share your synchronized model data among your design team, in one integrated set of applications. Complete your steel, concrete, timber, aluminium, and cold-formed steel projects, on time and in budget, regardless of complexity. Design structures anywhere in the world with confidence using over 80 international codes, reducing your team's need to learn multiple software applications. Increase your design productivity with streamlined workflows to reduce duplication of effort and eliminate errors. Lower total cost of ownership: Design any type of structure including culverts, petrochemical plants, tunnels, bridges, and piles. Increase design productivity: Streamline your workflows to reduce duplication of effort and eliminate errors. Reduce project costs and delays: Provide accurate and economical designs to your clients and quickly turnaround change requests.